Progressive Charlestown: What were they up to during the shut-down? Controversial decisions made by the Interior Department and other agencies during the ongoing partial government shutdown are emerging as an immediate test of power for Democrats looking to hold the Trump administration accountable after re-taking the House of Representatives. The use of entrance fees to keep national parks open, along with a sudden decision to bring back department employees to work on offshore drilling and related tasks, have come under fire from House Democrats and environmental groups — they argue Acting Interior Secretary David Bernhardt and other officials may be breaking the law. And lawmakers are looking to flex their new power once the government reopens. On January 23, Rep. Betty McCollum (DFW-MN), chair of the Appropriations Subcommittee for agencies including the Interior Department and Environmental Protection Agency (EPA), announced that she intends to probe the Trump administration’s decisions during the shutdown. “I’m going to be doing oversight hearings,” McCollum told ThinkProgress, laying out how the subcommittee plans to approach the matter, including collecting information pertaining to processes during the shutdown and lining up witnesses. At the heart of complaints lobbed at several of the Interior Department’s shutdown decisions is the Antideficiency Act, which specifies that only “cases of emergency involving the safety of human life or the protection of property” merit the ongoing unpaid labor of federal employees in a shutdown scenario. McCollum said stipulations laid out in that act and appropriations law more broadly aren’t being followed and pointed to several key examples. One major sticking point concerns a decision made last week. Despite not being included in initial shutdown contingency plans, some employees at several Interior Department bureaus, like the Bureau of Ocean Energy Management (BOEM) and the Bureau of Land Management (BLM), were called in to work. 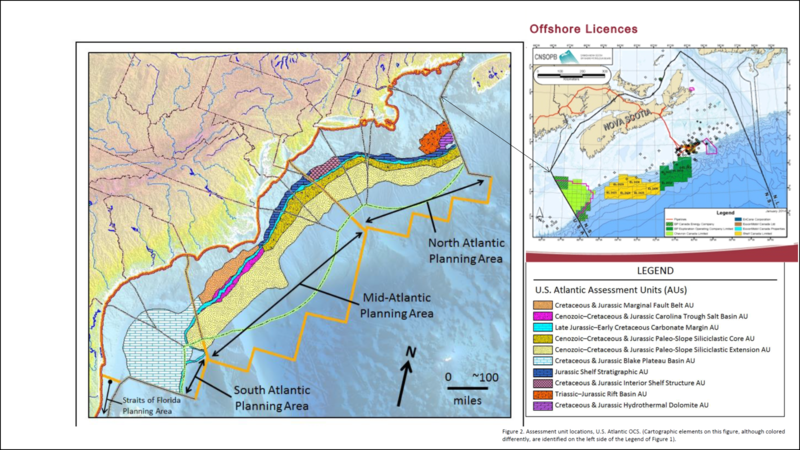 These employees have been tasked with working on issues such as the Outer Continental Shelf (OCS) five-year leasing program, which would open virtually all U.S. waters up to oil and gas drilling. Other tasks include processing oil and gas permits more generally, in addition to completing environmental reviews of expanded hunting and fishing in more than 60 national wildlife refuges. Another point of contention during the shutdown has involved national parks and monuments, which have historically been closed during prolonged shutdowns. The Trump administration opted to keep many of the parks open to the public, seemingly to avoid the backlash closed parks and canceled vacations sparked during the 2013 shutdown. Without adequate park staffing, the decision has resulted in massive amounts of trash and wrecked toilets at many parks, in addition to damage to nature and wildlife at parks like Joshua Tree in California. While environmental advocates and organizations like the nonprofit National Parks Conservation Association (NPCA) have called for the government to close the parks in order to protect them and would-be visitors, the Interior Department announced instead two weeks ago that entry fees and other funds collected at some parks would be used to keep them open. That means the parks are unable to collect fees even as their reserve funds are being rapidly depleted. Lawmakers say the entire situation is likely illegal under the Federal Lands Recreation Enhancement Act (FLREA), under which fees collected are intended for visitor services and not operations. Combined, these moves by top Interior Department officials during the shutdown have alarmed Democrats. “I believe [appropriations law] is being abused and misused and this is definitely not within the spirit of the law,” McCollum said. Outside of the subdued halls of Congress, advocates are also demanding answers. The nonprofit group Public Employees for Environmental Responsibility (PEER) on January 22 announced that it had asked the the Government Accounting Office (GAO) to “immediately investigate” the source of the funding allowing for the employees to return to work at agencies like BOEM and BLM, as well as the reasoning behind the decision. “If they’re using these funds… they’re violating the [Antideficiency] Act,” Jeff Ruch, PEER’s executive director, told ThinkProgress. With vacancies stretching across bureaus at the Interior Department long prior to the shutdown, environmental groups and watchdogs are speculating that many of the controversial shutdown decisions come directly from Bernhardt. The acting secretary has worked as a lobbyist for major fossil fuel companies and is largely seen as tied to industry and big polluters. Those ties have come under intensive scrutiny during the shutdown, with oil and gas drilling charging ahead even as offshore wind projects remain temporarily stalled. President Donald Trump’s “America First energy strategy” was listed as a key reason mandating the return of BOEM staff during the shutdown, with no explanation given as to why offshore oil and gas drilling might be considered a life, health, or safety issue for the country. Bernhardt tweeted on January 24 that carryover funds will be used to reschedule offshore wind meetings “very soon,” an announcement that came only after mounting outrage over oil and gas prioritization. Ruch said getting answers regarding the department’s decisions presents an opportunity for Democrats eager to exercise their new power. “In terms of the rhetoric, there’s lots of talk of accountability,” he said, emphasizing that seeking information post-shutdown offers “a test” of what the opposition party will be able to do in the next two years on environmental issues. Lawmakers seem to sense that opening as well. On Thursday, Democratic members of the House Natural Resources Committee hosted a forum lambasting the “blatant favoritism” toward the oil and gas industry during the shutdown. “I think shameless is an appropriate word,” Chair Raúl Grijalva (AZ) said, pointing to the “scales tipped in favor of industry” by the department. Ultimately, lawmakers of either party can do little with the government closed. But McCollum, who plans to scrutinize the Interior Department’s shutdown decisions, indicated that the issue isn’t going away and will remain a priority for Democrats.